Shane Shirley : Heading to the Red Carpet NYC Premier of EPIC the Movie - Movie Review Coming Soon!! Heading to the Red Carpet NYC Premier of EPIC the Movie - Movie Review Coming Soon!! Be sure to get caught up and read my post from a couple of weeks ago about the Team Energy Star challenge and their current partnership with 20th Century Fox and LG Electronics. You can win your own tickets to see EPIC!! How to Win Your Own Tickets to EPIC! 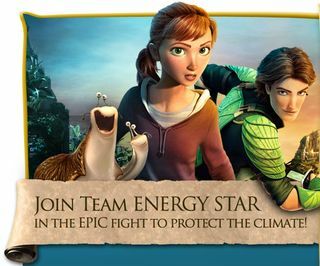 The first 200 families to submit an energy-saving story will receive 2 tickets each to see EPIC, courtesy of Fox. Kids will also get the chance to earn some great prizes from LG Electronics USA and maybe even see their name in lights in Times Square just like my daughter did! I so love Team ENERGY STAR because it puts the power in kids' hands to help protect the climate through easy-to-implement, money-saving actions and provides them an outlet for sharing their passion for preserving our environment. FULL DISCLOSURE: I am writing about Team ENERGY STAR because I support the program and because I believe it is important to educate the public about energy efficiency and climate change. 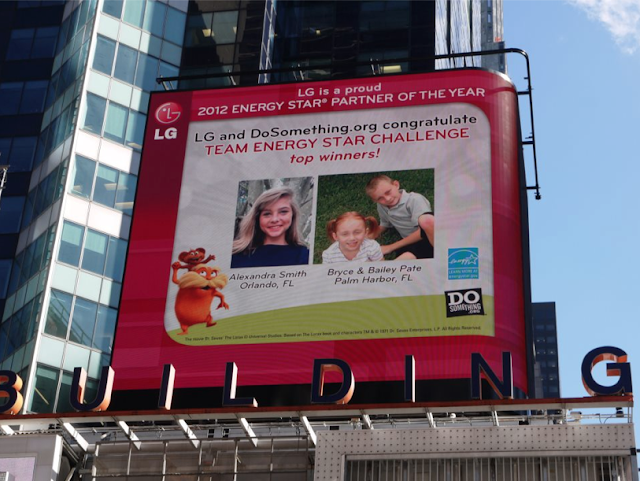 I have received a trip to NYC from LG, an ENERGY STAR partner to report on the premier. That trip in no way influenced my belief that saving energy is important and necessary and my love of Team Energy Star!